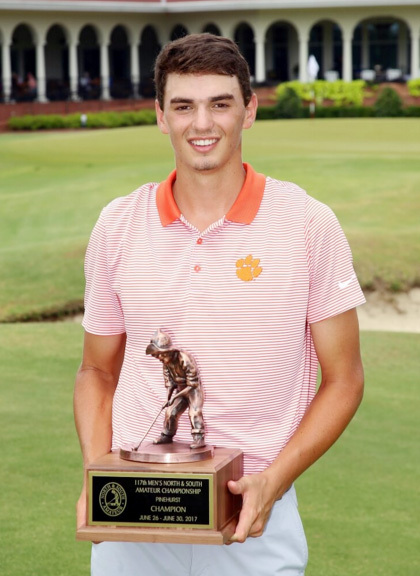 Clemson’s Williams Nottingham has won the North-South Amateur on the famed #2 course at Pinehurst. The rising sophomore won the final match over James Anstiss of New Zealand 1-up. “When you see all the history and the great players who have won this tournament this is really a big win,” said the Clemson golfer. Nottingham bogeyed his first hole and trailed in much of the match. He was 2-down to start the back nine, but his putter kept him in the match. “I had changed up my putting a little bit, lining up the ball the way I used to,” he said. “I noticed early in the week that, ‘Dang, I’m reading these greens really well. So I knew if I could just hit my spots and get good speed on it, I knew I could make a good amount of putts,” said Nottingham. He squared the match on the 14th hole when Anstiss made a bogey. The 17th hole at Pinehurst has been a pivotal hole in past championships. 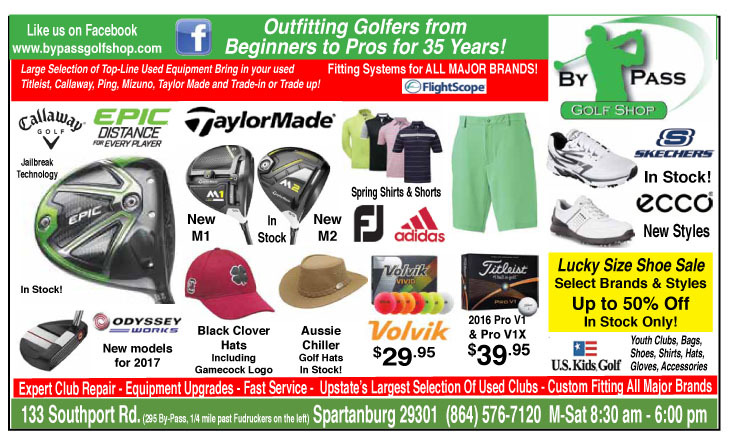 The legendary Payne Stewart made the birdie that helped him to a win over Phil Mickleson in the 1999 US Open on the hole while Michael Campbell made a birdie on the same hole to close out Tiger Woods in the 2005 Open. Nottingham may have hit a better tee shot to the 200 yard par-3 than either of the Open champions. His shot came very close to going in the hole and ended up four-feet from the cup. “We could see it and it was right at the hole. It couldn’t have missed the hole by much, but it left me with a tricky 4-footer. “I knew I had to make it,” he said. He rolled in the short breaking birdie putt to take a 1-up lead with one hole to play. Both golfers hit tee shots into trouble on the final hole. Before they could hit their second shot a heavy rain stopped play for a short time. When play resumed both golfers could not avoid bogeys on the hole that features a statue of Payne Stewart celebrating his Open win. Anstiss had the best chance to save par, but his five footer missed the hole. Nottingham rolled in his bogey putt for the win and was not tempted to celebrate in the same manner Stewart did back in 1999. “The pin was in about the same place it was when he won the Open. It was really something special to get a win at such a historic place,” he said. His father caddied for him in the tournament and enjoyed sharing the experience with his son. “I think I walked his feet off this week,” he joked. 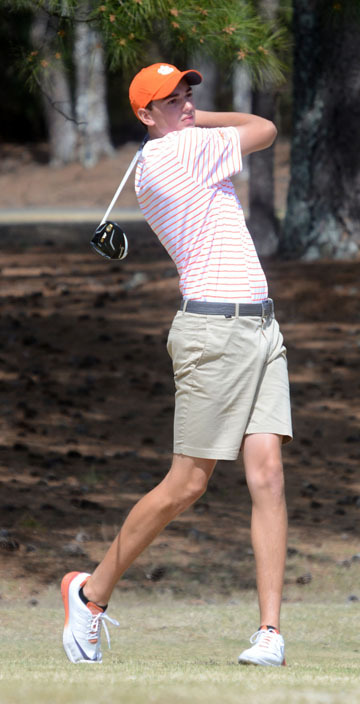 Nottingham became the second Clemson golfer to win the North-South championship. Phillip Mollica of Anderson won the tournament in 2007. 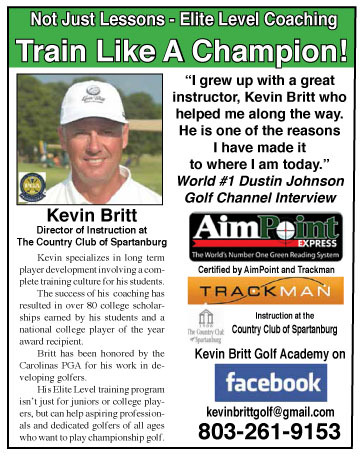 In his freshman year the Tiger golfer from Kingsport, TN. set a Clemson record for the best tournament round in school history when he shot a 63 at the Wolfpack Spring Open. 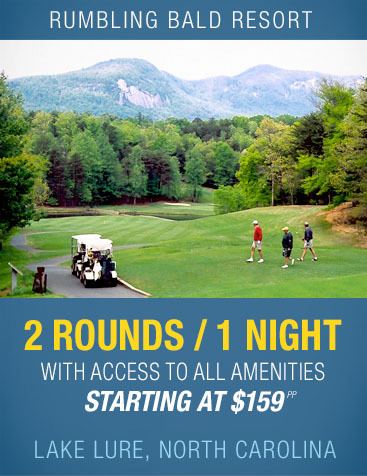 He also earned a top-10 finish in the ACC Tournament. Nottingham has a busy summer ahead of him. 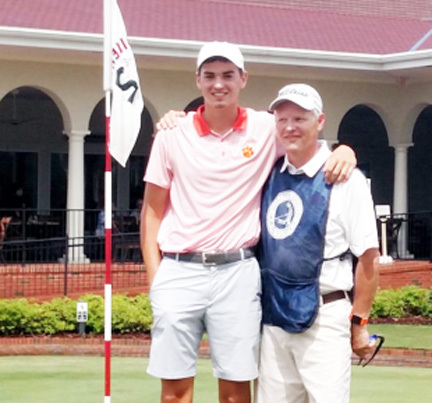 He intends to try to qualify for the US Amateur and will play in the Southeastern Amateur and the Palmetto Amateur before returning to Clemson for his sophomore year.